Hello and welcome to my blog ElaVegan. My name is Michaela, but most people call me Ela. I am the food stylist, recipe creator, photographer and writer for ElaVegan.com. Being creative in the kitchen and eating healthy vegan food is my passion. I love to spend time in nature and I have a big heart for animals. 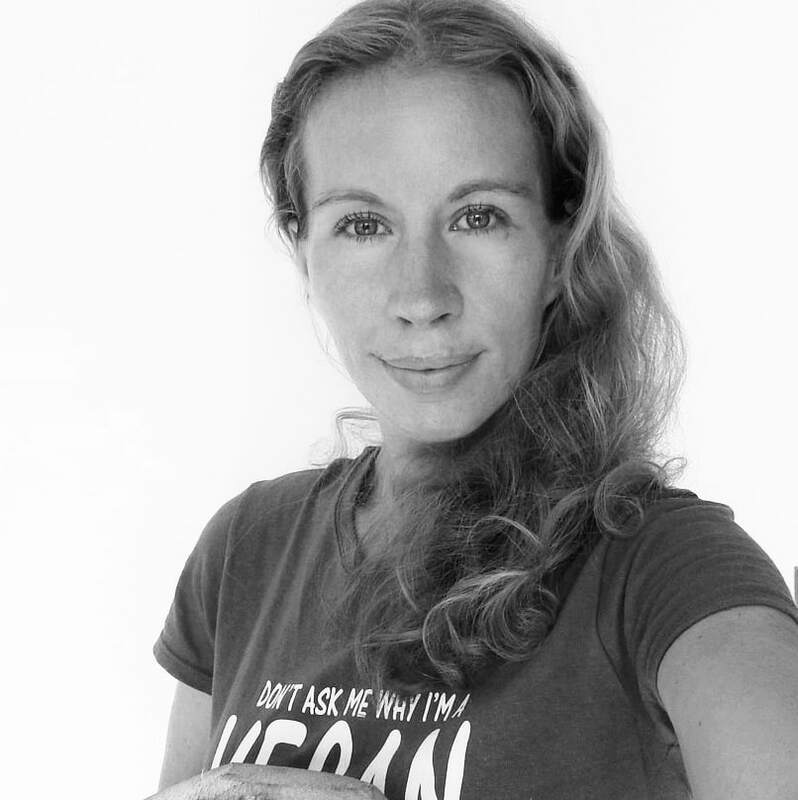 I stopped eating meat when I was 6 years old and became a vegan in September 2011. Going vegan was the best decision in my life. Knowing that I don’t participate in the torture and exploitation of farm animals brought an inner peace to myself. I feel much more energized since eating plant-based food, I lost some weight and my skin became so much clearer. What is my blog ElaVegan about? I want to share with you healthy and delicious vegan recipes which are easy to make and inexpensive. They are furthermore refined sugar-free and also gluten-free. You will find sweet desserts like cakes, brownies, waffles, but also savory dishes like pizza, buddha bowls, curry etc. on my page. My goal is to show that eating plant-based food is healthy, delicious, good for our bodies and for our planet. I believe the food Mother Nature created for us was not meant to harm our bodies, our planet and kill billions of innocent animals. I want to spread the vegan message and to share happiness and colorful plant-based recipes on my page ElaVegan. I hope I can inspire people from around the world with my easy recipes and help to make the transformation to veganism easier. I will also share with you my vegan DIY cosmetic products which I make at home, like soaps, shampoo, deodorant, tooth powder, creams, shea butter, etc made from natural ingredients. “My beautiful Ela, I don’t even know where to begin with you. I simply cannot fit my feelings in a few comments. I have not met a person like you, though we have not met, I can feel that you are a beautiful kind soul all the way to your core. You are not only unique and genuine but you are so dedicated, talented and hardworking. There are not many people in this world that have a purity such as you, a genuine innocence that wants nothing but to spread love and beauty to all beings. Your recipes are unlike anything I’ve found in not only the vegan community but in general. Each recipe is unique, your own personal creation, and so good for the body. And the best part? No animals were harmed in the process of making it. As you always say from your heart “animals are friends, not food” The kindest act of love is to feed someone and although you may not be “feeding” your followers you are providing them with healthy, unprocessed, plant based foods that taste amazing and are simple to make. The amount of work and time you’ve put into your journey and you’re mission to spread awareness is astounding. And I personally can truly say I’ve seen your evolution in the past year alone. You’ve evolved like a butterfly, ever so gracefully and you carry your friends on your wings. You don’t just have followers, you have friends. You build relationships you speak from your heart and you speak with such strength and wisdom. I am honored to be your friend, I am beyond amazed by your journey, and I am so proud to see you shine and spread your wings further and further.